This audiophile HD 650 with its silver finish, is the ultimate in open, dynamic headphone design and delivers crystal clear sound. 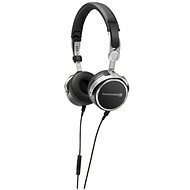 They have a frequency response is 10 - 39,500 Hz (-10 dB). The lightweight aluminum voice coils produce a very fast transient response. The long-term comfortable listening is guaranteed by quality soft ear pads and a padded headrest. The detachable 3 meter lead cord ends with a gold-plated 6.3mm stereo jack connector. The package also includes a 3.5mm stereo jack. 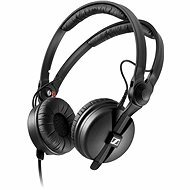 For shipping to other EU countries visit this page Sennheiser HD 650. Für Versand nach Deutschland, besuchen Sie bitte Sennheiser HD 650. Chcete doručit zboží do Česka? Prohlédněte si Sennheiser HD 650. Chcete doručiť tovar na Slovensko? Prezrite si Sennheiser HD 650. 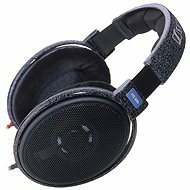 Für Versand nach Österreich, besuchen Sie bitte Sennheiser HD 650. Magyarországra történő kiszállításért tekintse meg ezt a termékoldalt: Sennheiser HD 650.